Top 10 Ways to De-clutter Your Kitchen Design | Le Gourmet Kitchen Ltd.
Have you promised yourself a fresh start this January? What better place to change old habits than in the kitchen, the most lived-in room in the house? Get a head start on the new year by assessing and de-cluttering your kitchen countertops, pantry, and kitchen cabinet storage. If you are considering a kitchen remodel, this is the perfect time to throw out the old and bring in the new, while planning the customized storage solutions you need for a streamlined and stylish kitchen design. 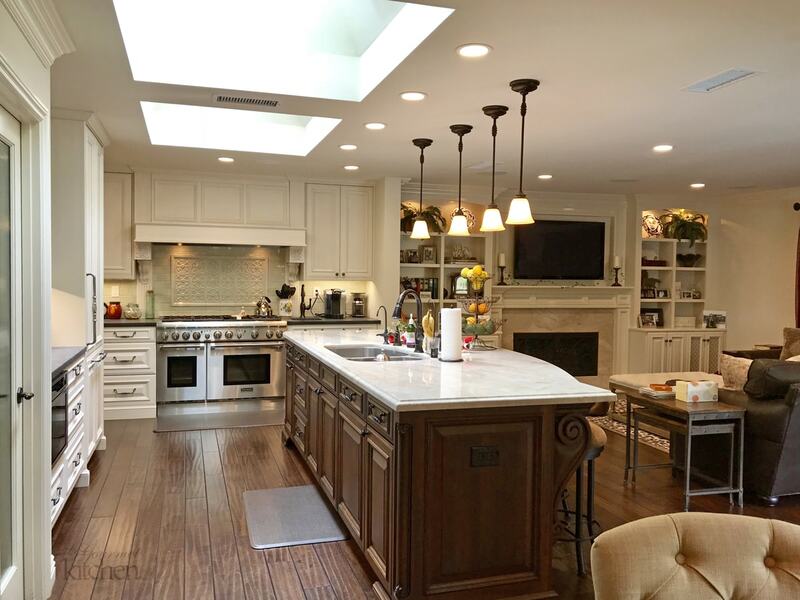 Here are our top ten tips for de-cluttering your Orange County kitchen design in 2019. Go through all your appliances and gadgets and make sure they work. Then ask yourself what you really use on a regular basis, bearing in mind that many common tools are multi-functional. Donate or sell what you don’t need, create specialized storage such as roll out shelves or a mixer lift for frequently used appliances, and store infrequently used tools away from your main kitchen cabinet storage. Seasonal items could be kept in an attic or basement, or perhaps on a high shelf in a walk-in pantry. Take out plates, glasses, mugs, bowls and utensils and discard anything that has seen better days. Display extra mugs or cups that you love and donate the rest. Items for occasional entertaining can be stored in boxes in the attic or ask friends to bring extra glasses for a very large event. Likewise, assess old dish towels, damaged cutting boards and anything else that is falling apart. How many pots and pans do you really need? Small ones are rarely used so keep it simple by focusing on the sizes and styles that work for everything. 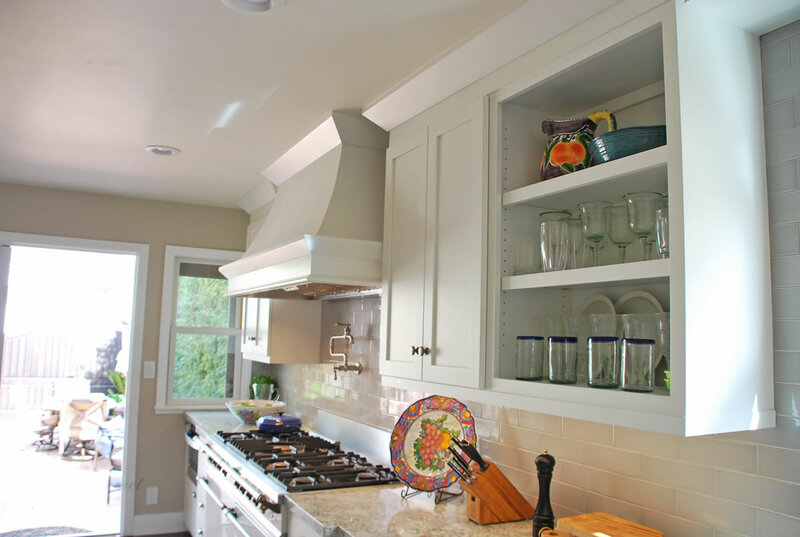 They can be hung from a ceiling rod to free up kitchen cabinet space or include deep drawers near the cooking area in a kitchen remodel that are ideal for holding pots and pans. Check that you don’t have unnecessary duplicates of cooking tools or dishes. If you receive a gift or buy something without realizing you have it, then give one away to a friend or donate it. This rule can apply to food items if you will not use the duplicated items by their use by date. Donate extra items to a food bank while they are still in date and can be put to good use. Think about what you like to cook and bake and then look in your kitchen cabinets. An avid baker will need a lot of cake tins and baking utensils, while these items will just collect dust in a wannabe cake-maker’s kitchen design. Cheese plates, tapas dishes and fondue sets are all pointless unless they’re used, so either get entertaining or give them to the charity store! Try adjusting the shelves in cabinets to accommodate contents by size. This is especially useful for organizing cleaning products under the sink, or for small items like canned goods. 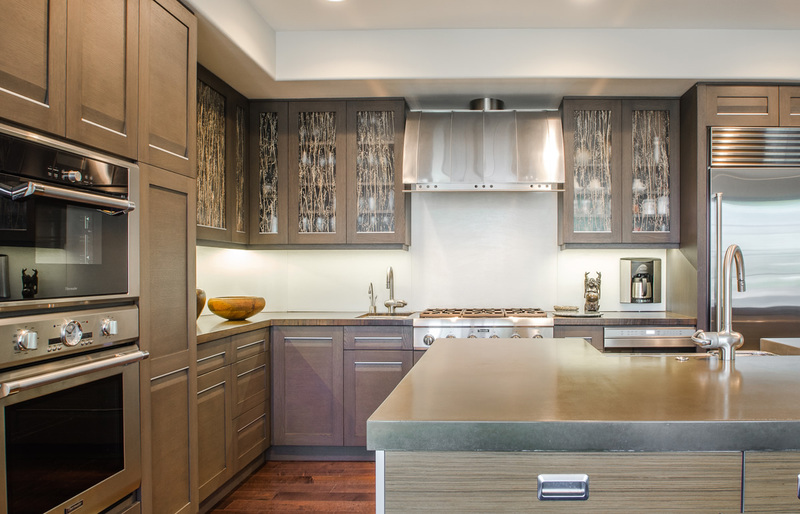 Caddies, hooks and lazy susans all help you maximize available space, but a design professional can customize kitchen cabinets as part of a new kitchen design for your specific needs. A designated space for medication is also handy in the kitchen, away from children and the moisture of the bathroom. Make the most of the storage options around you. In addition to kitchen cabinet storage, containers and shelving can fit into nooks and crannies beside doors and around windows. Don’t forget about valuable storage available in your kitchen island. In a smaller kitchen design, a mobile island could give you more counter and storage space but also be moved around and used as a beverage bar for a party. Customized storage like a pull-out spice rack will help you organize and keep track of everything much easier, meaning you are less likely to duplicate items and accumulate unwanted clutter. Most of us have a handy drawer that takes all the random items that don’t have a home, from paper clips to phone chargers to mysterious keys. The problem is that this drawer often becomes a bottomless pit of junk if not regularly cleared. One solution is to transform it into a family communications center for schedules, chargers, key holders and mail. Since this drawer will be constantly checked, it will become a priority to keep it de-cluttered and unnecessary items will be moved to a more suitable location like a utility room or garage. Food storage is obviously a huge part of every kitchen’s storage requirements, but it doesn’t need to take over the kitchen. Regularly clear out and clean your refrigerator and pantry, discarding anything out of date or empty. Get rid of spices you don’t use, or ones that have expired. Categorize items and keep them in clear containers that make them easier to identify, with popular foods easily accessible. Write out favorite recipes from otherwise unused books and magazines. Store them in a binder, donating the books and recycling the magazines. If you rely on screens for recipes, then de-clutter your worktop by mounting your device at eye level. It also makes for easier viewing and protects electronics from spills. 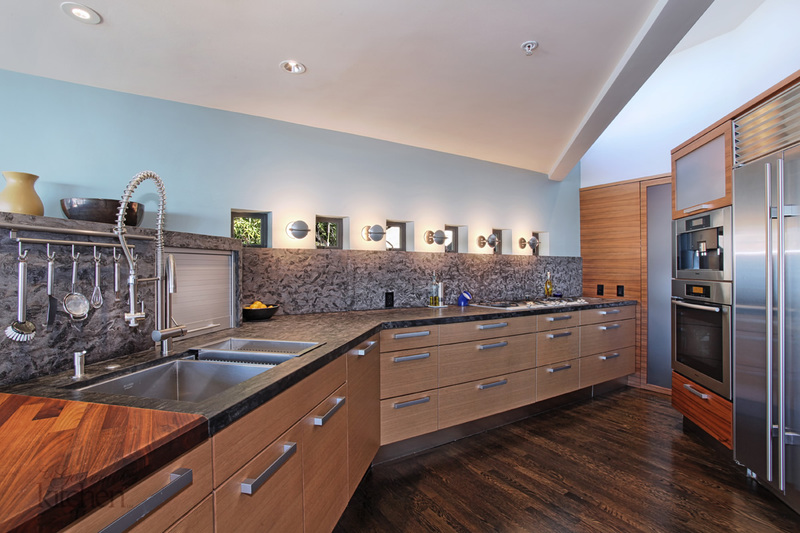 For more ideas on clutter-free kitchen design, check out our gallery or contact our kitchen design experts who will guide you through options for your kitchen remodel.